WinOnMacs released Putty for Mac 9.0.0 for MacOS today. Putty 9.0.0 is yet another major release, we now have full support for macOS High Sierra. Please see the full change-log below for all the exciting changes in this release. The cost of Putty 9.0.0 is only $19.95. Anyone who purchased Putty in the past three months is entitled to a free upgrade. Putty comes with three months of free upgrades and of course a 14-day money back guarantee. 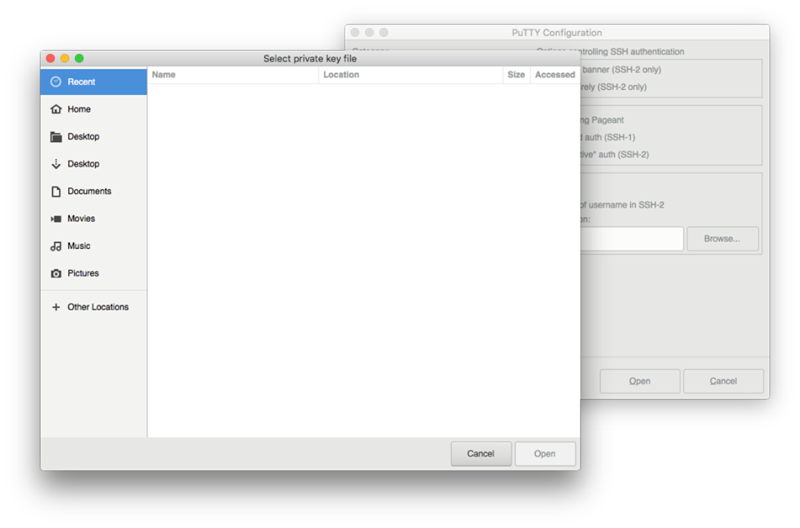 Purchase Putty 9.0.0 now and have Telnet SSH FTP SCP on your Mac made easy! We are now in the process of upgrading PuTTY for Mac to version 9.0.0 and we believe this will be the greatest release to date! If you made a purchase in the past three months we will send you a upgrade link once 9.0 is released. Customers who purchased a 1 year subscription will also get a separate upgrade notification. We anticipate the release to be finalized by the first week of April, so stay tuned! The cost of Putty is only $19.95 for the lite version or $36.00 for the 1 year subscription option. Anyone who has purchased Putty in the past three months is entitled to a free upgrade. Putty comes with three months of upgrades for the lite version and one year of upgrades for the subscription option and of course a 14-day money back guarantee. Wine Reviews released Putty for Mac 8.7.0 for MacOS today. 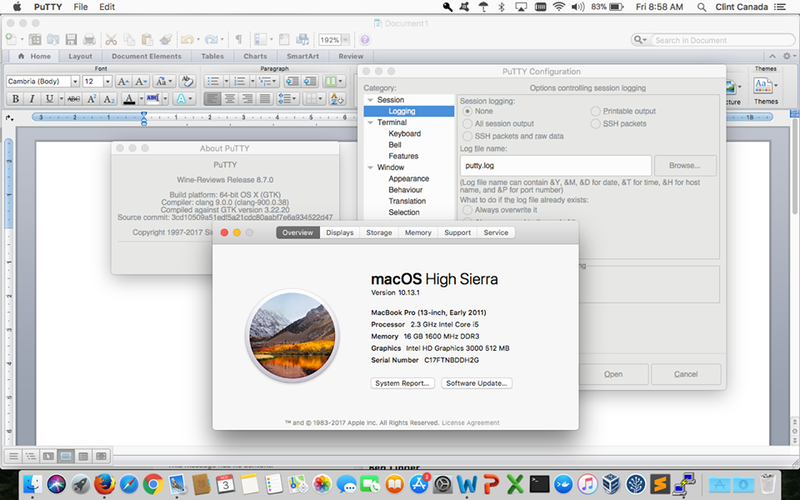 Putty 8.7.0 is yet another major release, we now have full support for macOS High Sierra. Please see the full change-log below for all the exciting changes in this release. The cost of Putty 8.7.0 is only $19.95. Anyone who has purchased Putty in the past three months is entitled to a free upgrade. Putty comes with three months of upgrades and of course a 14-day money back guarantee.